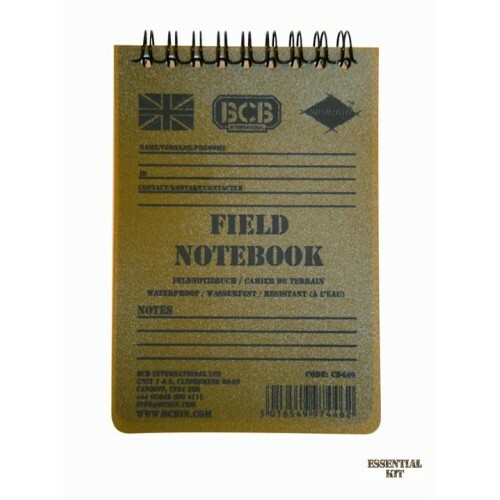 Tough durable spiral bound notebook perfect for use in the field. Waterproof paper, for use in any conditions. 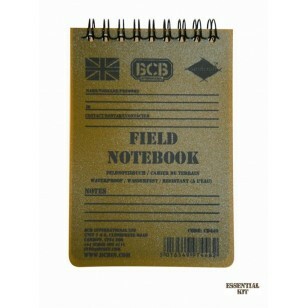 Write your important notes with ease (no matter how strong the rain!). 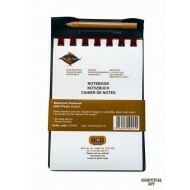 Pocket sized and comes with a pencil fitted into the spiral binding. Approx. 50 sides of paper.